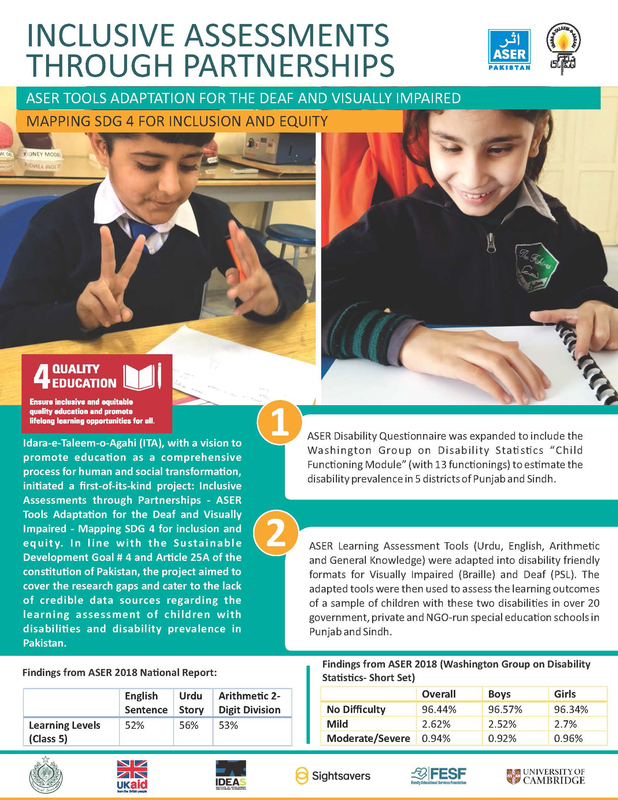 Similarly, in Pakistan, Idara-e-Taleem-o-Agahi (ITA), with a vision to promote education as a comprehensive process for human and social transformation, has recently launched a first-of-its-kind DFID funded project, titled as "Inclusive Assessments through Partnerships -ASER Tools Adaptation for the Deaf and Visually Impaired - Mapping SDG 4 for inclusion and equity", to cover the research gaps and cater to the lack of credible data sources regarding the learning assessment of the children with disabilities and disability prevalence in Pakistan. 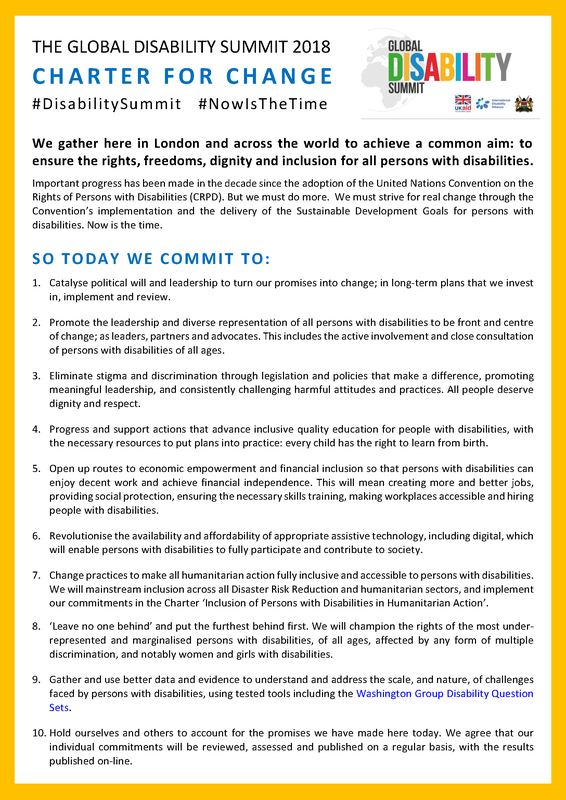 For this purpose, ASER Tools shall be translated/adapted into a disability friendly format and will be used to assess the learning outcomes of children with disabilities. In addition to this, ASER Disability Questionnaire from its household survey will be expanded to include the Washington Group on Disability Statistics full set of questions on child functioning to estimate the disability prevalence. Further, the project also involves the capacity building of all stakeholders through workshops and seminars along with the organization of high-level policy dialogues for informed policy making in line with the SDG 4. 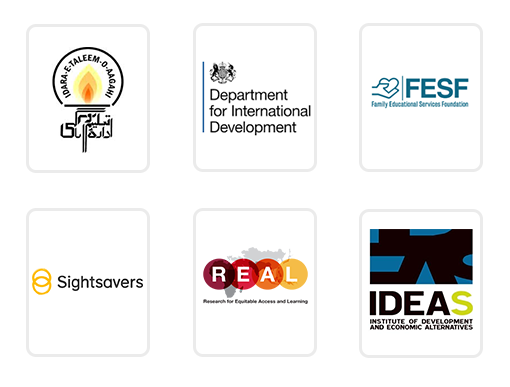 The pilot study for this project which is spread over 4 districts of Pakistan, will be taken on with the collaboration of the following partner organizations: Family Educational Services Foundation (FESF), SightSavers International, REAL Centre University of Cambridge and IDEAS Pakistan. 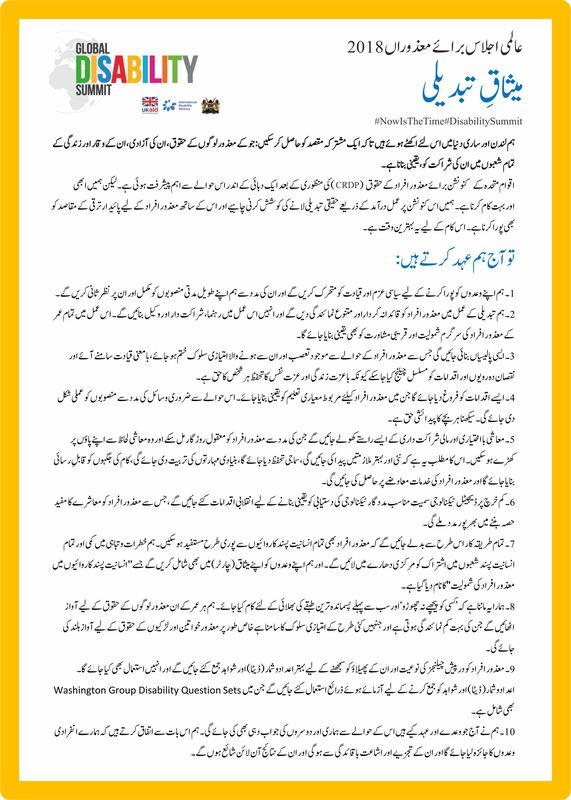 The inaugural meeting of the project was organized by ITA on August 7th 2018 in Lahore and was attended by the representatives from the Special Education department Punjab, FESF, SightSavers International, and DFID. 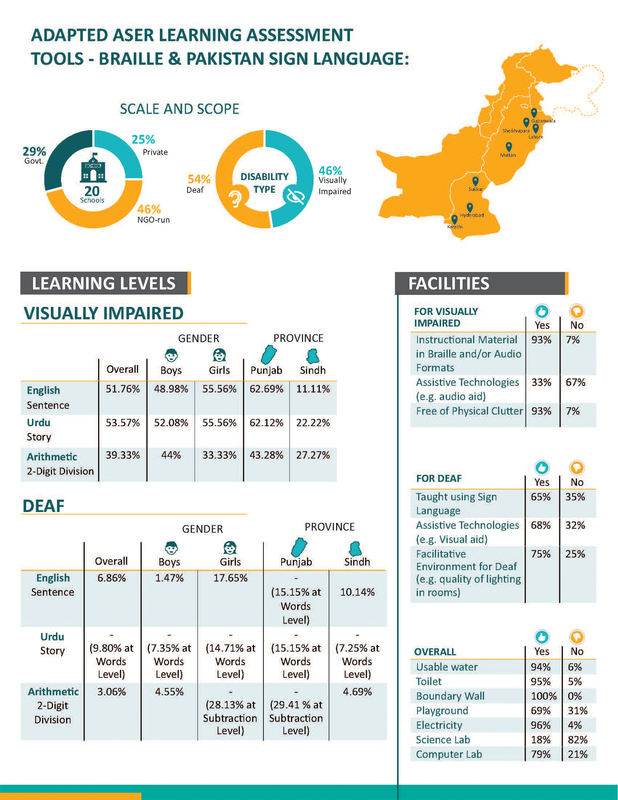 The ASER tools that assess the learning outcomes of children on their local language (Urdu, Sindhi, Pushto), English, Arithmetic and General Knowledge will be adapted/translated into Braille and audio aids for the blind/visually impaired and Pakistan Sign Language (PSL) and video aids for the Deaf. 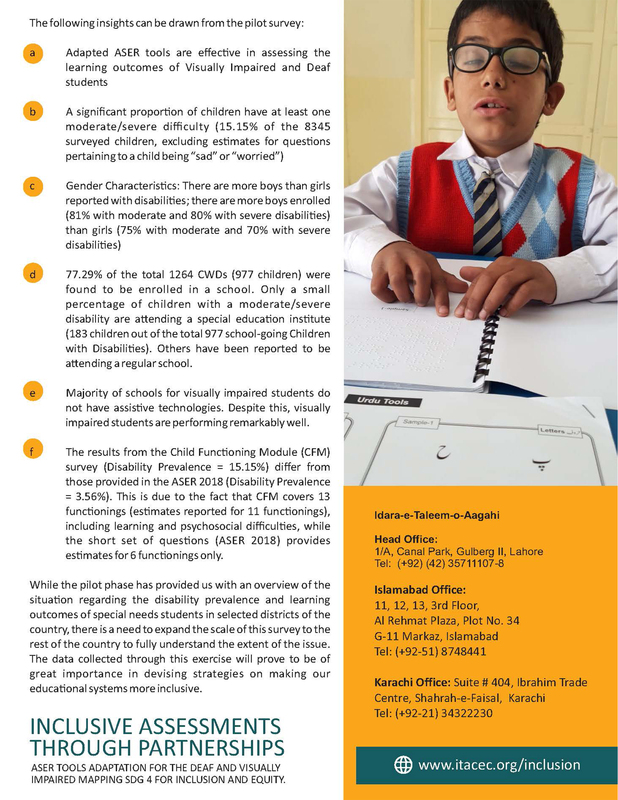 Fostering Inclusive Education in Pakistan: Access and Quality through Primary Education through Community School Networks - Working Paper number 6 - The Brookings Institute. 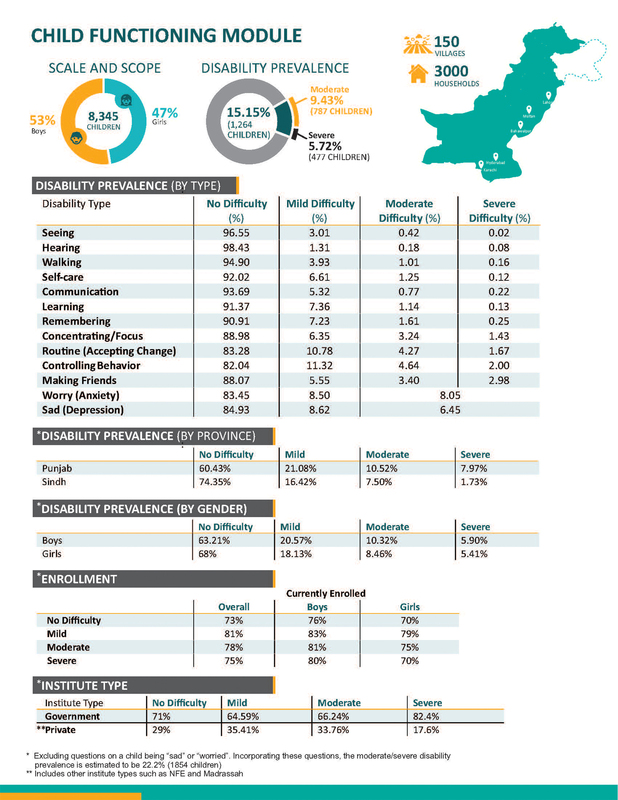 The British Council, Moving from the margins, Mainstreaming persons with disabilities in Pakistan - A research report produced for the British Council.